Dave Walker, a 35-yeard-old cartoonist, web editor and former church and community youth worker has earned international fame, not only as a cartoon commentator on the state of the Church (local and universal) and regular cartoonist on the Church Times, but as the creator of The Dullest Blog in the World. All this and other uneventful aspects of life in local churches, this book has a downbeat, understated comic style and would make an ideal gift. 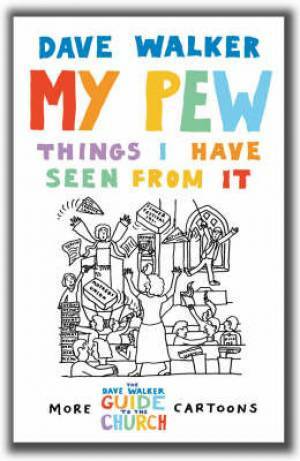 My Pew: Things I have Seen From It by Dave Walker was published by Canterbury Press in July 2008 and is our 15382nd best seller. The ISBN for My Pew: Things I have Seen From It is 9781853118999. Be the first to review My Pew: Things I have Seen From It! Got a question? No problem! Just click here to ask us about My Pew: Things I have Seen From It.